Donald Trump and congressional Democrats are stuck in a negotiation stalemate that is preventing an end to the government shutdown. 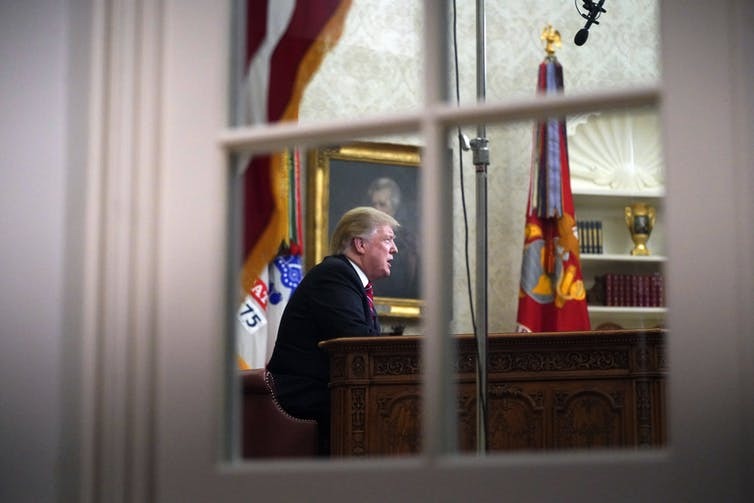 Trump wants a wall, but Democratic leaders Nancy Pelosi and Chuck Schumer refuse to support funding for a physical barrier – positions they recently reiterated while addressing the nation in primetime. Currently, both sides are operating in a manner that often prevents deals from getting made. Understanding how people influence each other is central to my research and teaching as a management professor at Northeastern University’s D’Amore-McKim School of Business. In essence, I study the science, rather than the art, of the deal. This work shows why the shutdown continues and how both sides could walk away with a win. Research on negotiation highlights the importance of distinguishing between positions and interests. Positions are the initial demands or starting points from which both sides typically need to move for an agreement to be reached. Interests, on the other hand, are the underlying motives for positions – the reasons people make demands in the first place. When parties to a negotiation focus on positions, they often reach an impasse. Why? Because there really is only one way to satisfy a position – you either get what you asked for or you don’t. A focus on positions is evident in the negotiation to end the partial government shutdown, which is now the longest in American history. Each side’s position is clear: wall or no wall. 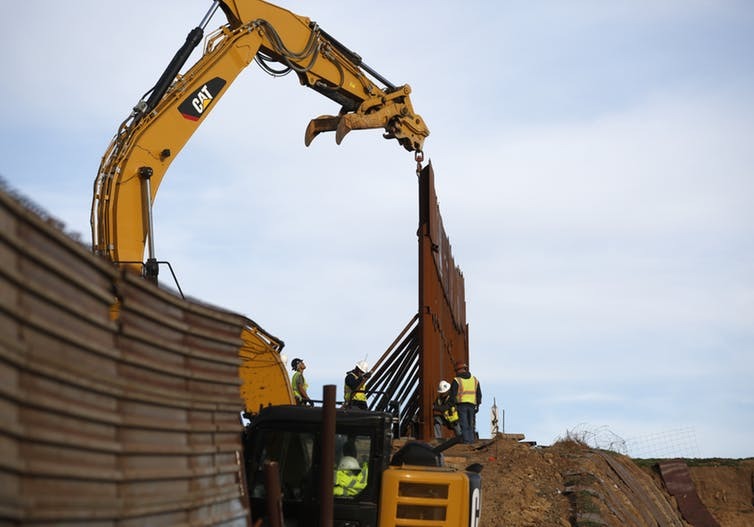 President Trump has demanded that a bill to reopen the government include more than US$5 billion for a physical barrier along the southern border of the United States. Conversely, Speaker Pelosi and Senate Minority Leader Schumer insist that although they would consider providing money for increased border security they will not provide funding for a wall. This is a “win-lose” or “zero-sum” approach in which any gains for one party come at a direct cost to the other party. A focus on interests, however, is at the core of what is referred to as integrative bargaining, which aligns with a collaborative approach to negotiations. The language used in their recent primetime addresses hints at the interests of both sides. Trump seemed to focus on preventing drugs and criminals from crossing the border. The Democrats’ response suggested they are primarily interested in the humane treatment and safe passage for people who want, and perhaps even need, to enter the United States. When people negotiate over interests, they look beneath positions and seek to satisfy needs, which is the real reason we should negotiate. This approach can produce more creative alternatives for an agreement. It also places importance on the relationship, in addition to the outcome, which typically paves the way for more productive negotiations between the parties in the future. So why don’t Trump, Pelosi and Schumer simply negotiate based on interests instead of positions and end the shutdown? Unfortunately, this often is easier said than done. People often incorrectly assume that, like positions, their and the other party’s interests are in direct conflict. Interests, on the other hand, tend to be more compatible. In fact, because interests ultimately define the problem, focusing on them can provide far more options for an agreement that satisfies the needs of both parties. Although the current political climate clearly amplifies both sides’ competitive approach and hinders a shift from positions to interests, that is the most productive path to an agreement. Unfortunately, we have seen only hints of a discussion of interests to date. To end the shutdown, both sides should find a way to make that shift. For example, Trump could do more to acknowledge the Democrats’ interest in fair treatment of those who want to enter the United States. Schumer and Pelosi could put more emphasis on the importance of Trump’s desire for increased border security. And most importantly, both sides should present proposals to end the crisis that satisfy the other party’s legitimate interests. It’s a difficult task, but it’s the only way both sides, and the country, can win. U.S. government statistics state that illegal border crossings have been steadily declining since 2014. Nearly half of the U.S.’ illegal population didn’t sneak across the border at all. They overstayed expired temporary work visas. Trump’s goal isn’t border security. Rather, he’s bent on fulfilling the top campaign promise he made to the xenophobic white supremacists who constitute his largest bloc of supporters. If you listen to the Dems, Walls don’t work Deb.